As a bioinformatician, I am working at the critical interface between bioinformatics, functional genomics and wet lab biology to decipher “coded message” in our genome. Drawing on my background in computational sciences, I specialize in large-scale data mining, using a combination of high-performance computing, machine learning, and data visualization. As biology turns increasingly into a data-rich science, the massive amount of data generated by high-throughput technologies present both new opportunities and serious challenges. We are interested in developing novel computational technologies to analyze, integrate and visualize high-throughput biological data effectively and efficiently, with applications to decipher the function and evolution of gene regulatory systems. 3. Hou M., Tang X., Tian F., Shi F., Liu F., Gao G.* 2016b. AnnoLnc: a web server for systematically annotating novel human lncRNAs. BMC Genomics 17(1): 931. 9. Jin J., He K., Tang X., Li Z., Lv L., Zhao Y., Luo J., Gao G.* 2015. An Arabidopsis Transcriptional Regulatory Map Reveals Distinct Functional and Evolutionary Features of Novel Transcription Factors. Mol Biol Evol 32(7): 1767-1773. 11. Gao G., Vibranovski M. D., Zhang L., Li Z., Liu M., Zhang Y. E., Li X., Zhang W., Fan Q., VanKuren N. W., Long M., Wei L. 2014. A long-term demasculinization of X-linked intergenic noncoding RNAs in Drosophila melanogaster. Genome Res 24(4): 629-638. 14. Chen Z. X., Zhang Y. E., Vibranovski M., Luo J., Gao G.*, Long M.* 2011. Deficiency of X-linked inverted duplicates with male-biased expression and the underlying evolutionary mechanisms in the Drosophila genome. Mol Biol Evol 28(10): 2823-2832. 15. Ding Y., Wang M., He Y., Ye A. Y., Yang X., Liu F., Meng Y., Gao G.*, Wei L.* 2014. `Bioinformatics: Introduction and Methods,` a Bilingual Massive Open Online Course (MOOC) as a New Example for Global Bioinformatics Education. PLoS Computational Biology 10(12): e1003955. 1. Zhou Y., Wang P., Tian F., Gao G., Huang L., Wei W., Xie X. S. 2017. Painting a specific chromosome with CRISPR/Cas9 for live-cell imaging. Cell Res 27(2): 298-301. 2. Feng S., Zhao Y., Xu Y., Ning S., Huo W., Hou M., Gao G., Ji J., Guo R.*, Xu D.* 2016. Ewing Tumor-associated Antigen 1 Interacts with Replication Protein A to Promote Restart of Stalled Replication Forks. J Biol Chem 291(42): 21956-21962. 3. Xing M., Yang M., Huo W., Feng F., Wei L., Jiang W., Ning S., Yan Z., Li W., Wang Q., Hou M., Dong C., Guo R., Gao G., Ji J., Zha S., Lan L., Liang H., Xu D. 2015. Interactome analysis identifies a new paralogue of XRCC4 in non-homologous end joining DNA repair pathway. Nat Commun 6: 6233. 4. Shu J., Wu C., Wu Y., Li Z., Shao S., Zhao W., Tang X., Yang H., Shen L., Zuo X., Yang W., Shi Y., Chi X., Zhang H., Gao G., Shu Y., Yuan K., He W., Tang C.*., Zhao Y., Deng HK.*. 2013. Induction of pluripotency in mouse somatic cells with lineage specifiers. Cell 153(5): 963-975. 5. Huang Y., Xie C., Ye A. Y., Li C. Y., Gao G., Wei L.* 2013. Recent adaptive events in human brain revealed by meta-analysis of positively selected genes. PloS ONE 8(4): e61280. 6. Wang J., Kong L., Gao G., Luo J. * 2013. A brief introduction to web-based genome browsers. Brief Bioinform 14(2): 131-143. 7. Xiao A., Wu Y., Yang Z., Hu Y., Wang W., Zhang Y., Kong L., Gao G., Zhu Z., Lin S., Zhang B. 2013. EENdb: a database and knowledge base of ZFNs and TALENs for endonuclease engineering. Nucleic Acids Res 41(Database issue): D415-422. 8. Yue R., Li H., Liu H., Li Y., Wei B., Gao G., Jin Y., Liu T., Wei L., Du J., Pei G.* 2012. Thrombin receptor regulates hematopoiesis and endothelial-to-hematopoietic transition. Dev Cell 22(5): 1092-1100. 9. Zhang J., Gao G., Chen J. J., Taylor G., Cui KM. *, He XQ. * 2011. Molecular features of secondary vascular tissue regeneration after bark girdling in Populus. New Phytol 192(4): 869-884. 10. Du P., Wu J., Zhang J., Zhao S., Zheng H., Gao G., Wei L., Li Y. * 2011. Viral Infection Induces Expression of Novel Phased MicroRNAs from Conserved Cellular MicroRNA Precursors. PLoS Pathog 7(8): e1002176. 11. Xie C., Mao X., Huang J., Ding Y., Wu J., Dong S., Kong L., Gao G., Li C. Y., Wei L.* 2011. KOBAS 2.0: a web server for annotation and identification of enriched pathways and diseases. Nucleic Acids Res. 39(Web Server issue): W316-322. 12. Liu M., Liu P. P., Zhang L., Cai Q. C., Gao G., Zhang W. X., Zhu Z. Y., Liu D.*, Fan QC. * 2011. mir-35 is involved in intestine cell G1/S transition and germ cell proliferation in C. elegans. Cell Research 21(11): 1605-1618. 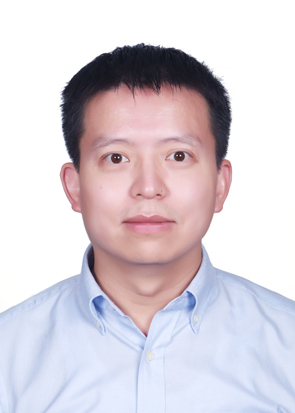 Methods in Bioinformatics, for 100+ graduate and undergraduate students every Fall semester; co-created the course with Dr. Liping Wei in 2006, ran the course as co-lecturer (with Dr. Liping Wei) in 2007, and as lead lecturer from 2008. Sequencing-oriented Human Genetics, for 20+ selected graduate students every Fall semester, co-created the course with Dr. Ruiqiang Li in 2012. Current Topics on Genetics, for 15+ selected undergraduate students every Spring semester, co-founded the course with Dr. Bo Zhang and other nine lecturers in 2013. “Genomics and Molecular Evolution” module in core graduate course “Essential Topics in Modern Life Sciences”, for all (60+) first-year graduate students in the School of Life Sciences every Spring semester, co-founded the course with Dr. Xiaofeng Zheng and other five colleagues in 2015. “Computational Genomics” module, PTN-BBS Program, for 20+ selected graduate students every year, since 2011. “Genomic and Bioinformatics” module, Bio2000 Program, for 300+ graduate students in Shanghai and Beijing every Fall semester since 2013, co-taught with Dr. Liping Wei.